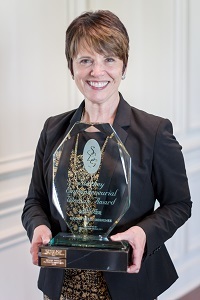 DK Pierce & Associates is proud to announce that President/CEO Denise K Pierce is the recipient of the 2015 Starkey Entrepreneurial Woman Award. This award is presented annually by Harrison & Moberly Attorneys and Indianapolis Monthly magazine and recognizes a woman business owner in Indiana who has an inspirational story of struggle and success or who are themselves inspirational. In its 12th year, the 2015 Starkey Entrepreneurial Woman Award included more than 25 nominees. 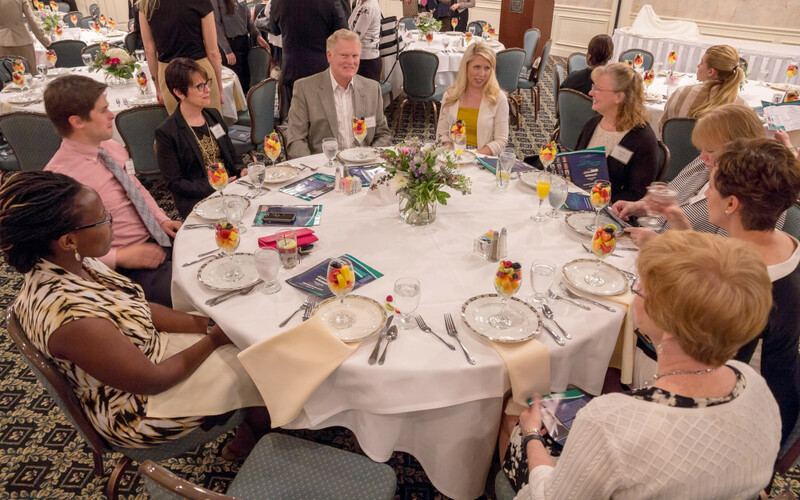 A panel of five judges reviewed the nomination submission packages, and Pierce received the honor at a recognition breakfast on Friday, May 8, at the Meridian Hills Country Club in Indianapolis. Pierce began her company in 2000 as the sole employee – with a big vision. DK Pierce, a strategic consulting group focused on ensuring patient access to care for complex diseases, celebrates its 15th anniversary next month with 20 employees in Indiana and four other states, and adheres to the philosophy of her company as a “small giant” – a company that chooses to be great instead of big.